Artistic Director, Kelly Walsh - Kelly began her love of performing arts as a young child when she played Rebecca in a local production of “Our Town”. She then went on to receive a BFA in directing from Salem State College and The University of West London. After graduation, Kelly moved to New York and took a job at the critically acclaimed Vineyard Theatre. There she learned the ins and outs of a professional theatre while working alongside master actors and directors. During this time, Kelly was selected to take part in the "Up and Coming Women Directors" program at The Looking Glass Theatre. She worked with NY based playwrights developing new works for the stage that had strong female characters and storylines. She also co-ran their Directing and Playwriting Forum, a highly successful launching pad for artists developing new plays. Locally, Kelly has worked at The North Shore Music Theatre, The Stoneham Theatre, the Concord Youth Theatre, and the Andover School of Montessori. She co-founded The Fairy Tale Players; a non-profit organization dedicated to creating educational theatre for young audiences. For the last five years she has served as the Education Director at Creative Arts where she directed over thirty children’s productions and was featured twice in Boston Parent’s “Best of the Best” issue for her theatre classes. Outside of the arts, Kelly devotes her time to her online support group Heart Matters, which serves to support families with children born with Congenital Heart Defects. Kelly has also spent many years as a Wish Granter for the Make-A-Wish Foundation, an organization that is near and dear to her heart. 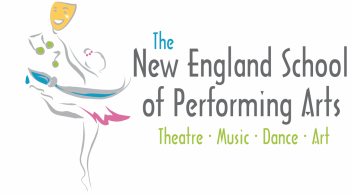 ​The mission of The New England School of Performing Arts is to inspire those we serve through the arts to realize their full potential and be a positive influence in their community. NESPA believes that the arts have the power to transform people’s lives — to open them to the greatness that lies within them and in others. We strive to develop and deliver the highest standard of performing arts education, which provides young people with the knowledge and skills they need to be successful in future endeavors. We believe a performing arts education will instill confidence, creativity, communication skills, collaboration skills, citizenship and character. Provide intense, quality learning and performing opportunities in the performing arts. Surround students with a staff of professional artists who serve as mentors and teachers, encouraging our students to commit to a high level of self-expectation.